If you are a convert to Windows 10 from Windows 7 you may find it kind of tricky to access certain settings it was always easy to find before. The secret is that Microsoft actually made them easier to find! The added a hidden menu on the Windows button. The brief video tutorial below shows you how to rock this amazing hidden menu. Windows 10 has been out for awhile now and I have had many questions regarding Microsoft's newest operating system. One of the most common is how to easily find programs. In Windows 10 it can be hard to what you are looking for within the new Start Menu. Instead of trying to find it and in the end just getting frusrated, let the Search Box do all the work. Watch the tutorial below to see how easy it can be! The days of trying to find the Print Screen button on your keyboard are over! 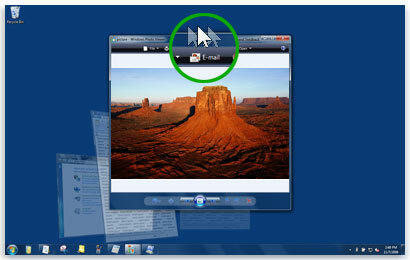 Learn how to use the Snipping Tool; an amazing Windows program that few people even know about. Using the Snipping Tool you can take screenshots of only what you want. So that means no more take a screenshot of your entire screen and then having to crop it down using a different program. Watch the brief two minute tutorial below to see how easy the Snipping Tool can be to use! One of the most forgotten tweaks of Windows, is the ability to customize what happens when you push the Power Button. This button can do more than just shut down your computer. Watch the brief tutorial below to see how you can make the Power Button log you off, lock your computer, or even restart your machine! The Aero Shake, not to be confused with the Harlem Shake, is a super quick and easy way to minimize all but the current window you are using. It can be a easy way to get rid of distractions on your screen and help students focus on what is being discussed. This can not only be utilized on your laptop/desktop, but also while using a interactive projector. Watch the brief tutorial below to learn how the Aero Shake can keep you focused! If you are like me, you just may have a folder full of random files that you keep saying you will clean up. Well, when that day finally comes, save yourself some time and use the 'Show the preview pane' button. 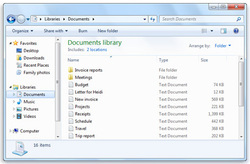 The Preview Pane can allow you to go through files without ever actually having to open them! Check out the brief tutorial below to see how simple and easy it can be. This is the kind of tutorial you never knew you needed. 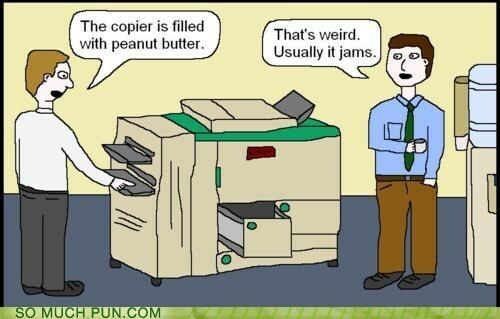 Once you learn this handy trick though, it will make you smile and also more productive. When you open a File Explorer Window, or what many just call Documents, you will notice a favorites section on the left. This can be tweaked and customized by you. You can place the folders you access most often there to save yourself from having to search and search for a folder. It can also be used as a way to declutter those 100s of desktop shortcuts you have!